Celebrate siblings in this charming and fun flip book written by Laura Numeroff. Young readers get the chance to remember all the good things their sisters and brothers do in What Sisters Do Best/What Brothers Do Best. Sisters are helpful and caring, and fun to be around. Brothers can be helpful and caring too, and they make great playmates. But the best thing that brothers and sisters do is give you lots and lots of love. This book immediately caught my eye in the Chronicle catalog because I have two young girls who are close in age and who don’t always appreciate what a great friend a sister can be. My youngest wanted to read it as soon as it came in, and after reading this book I was able to remind her how wonderful it is to have a sister even when they don’t always get along. And that’s truly how I see this book, as a way for parents to interject reminders of how helpful, caring, and loving siblings are, even if they would just as soon scribble on your drawing from time to time. The illustrations from Lynn Munsinger are absolutely adorable. The use of animals instead of human characters in this book is an excellent choice; not only because children have a natural affection toward furry friends, but also because the nurturing relationship between animal brothers and sisters is often viewed by youngsters, making these characters instantly recognizable and approachable. And even animal siblings have a competitive edge, so your child will relate to that as well. 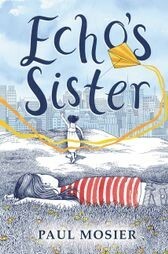 What Sisters Do Best/What Brothers Do Best by Laura Numeroff is a book that many children will enjoy.